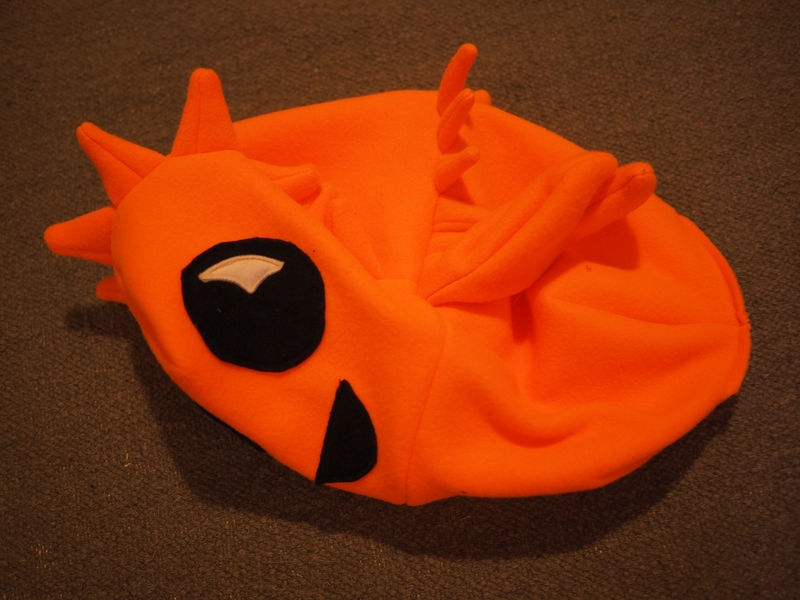 Based on feedback from the crab plushie pattern, I took more pictures this time. 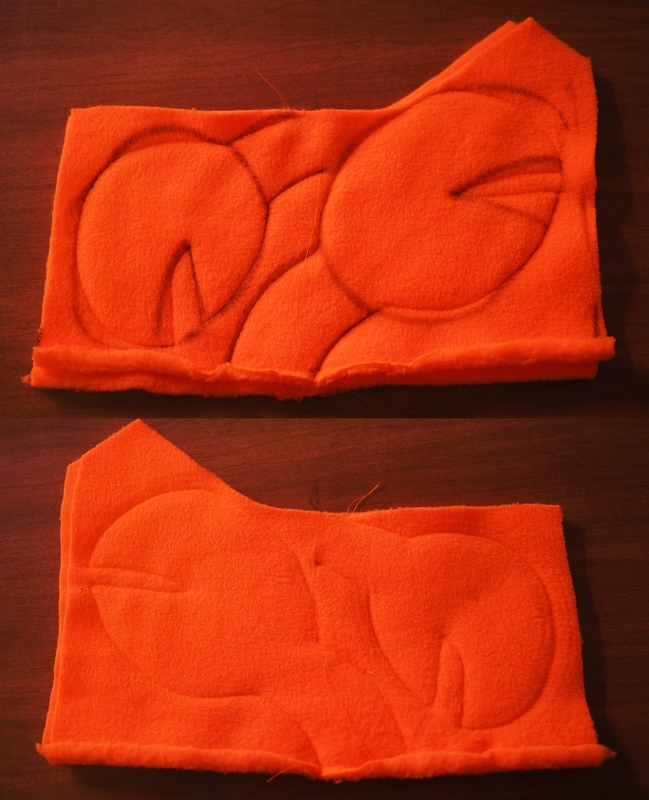 There are 40 pictures of the process below the fold. 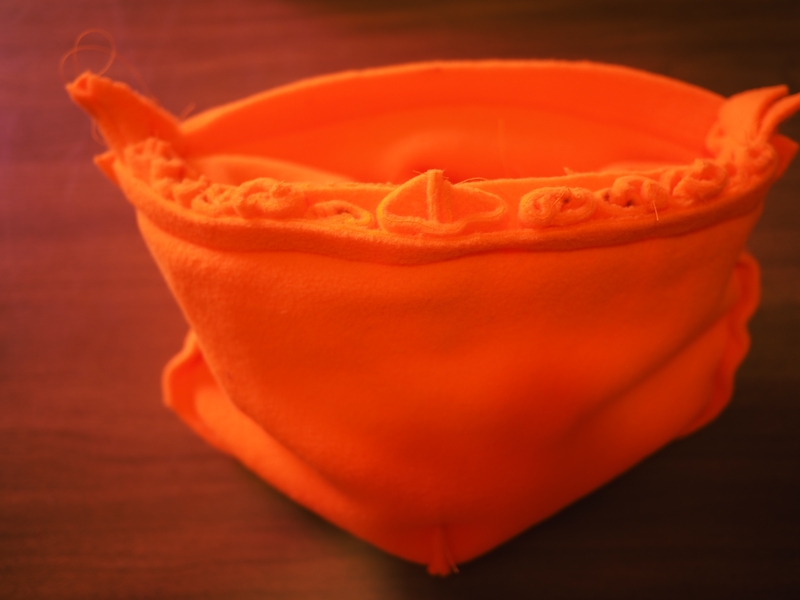 About 1/4 yard or 1/4 meter of orange fabric. Maybe more if it’s particularly narrow. 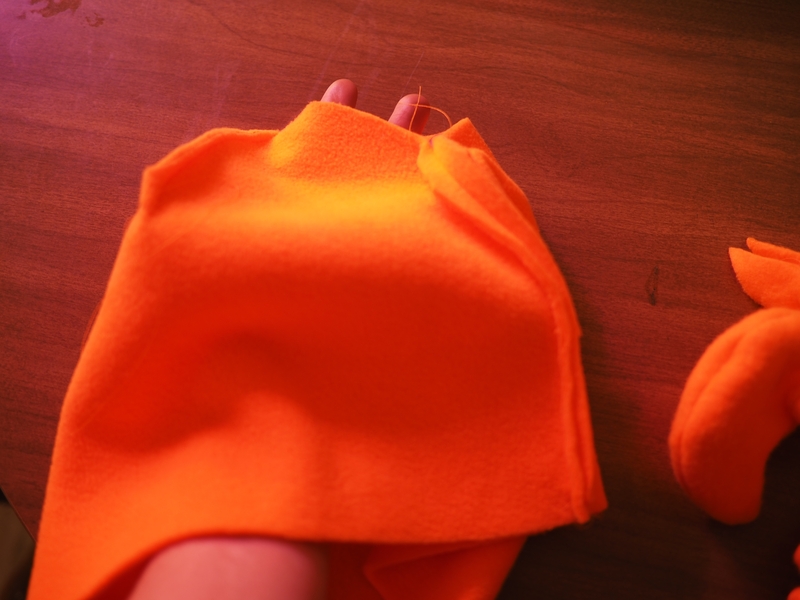 Polar fleece is good because it stretches a little and does not fray near seams. A measuring device. You can just use a piece of string and mark it. 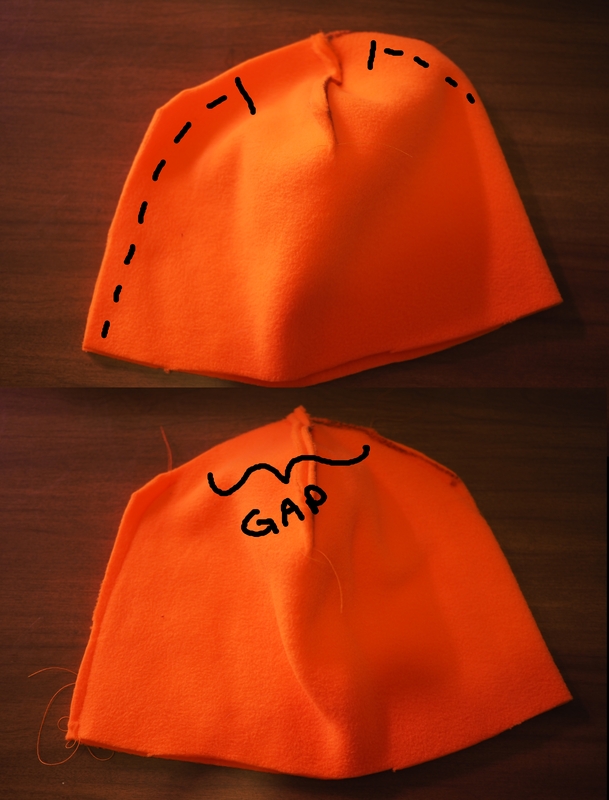 The measurements of the hat wearer’s head. 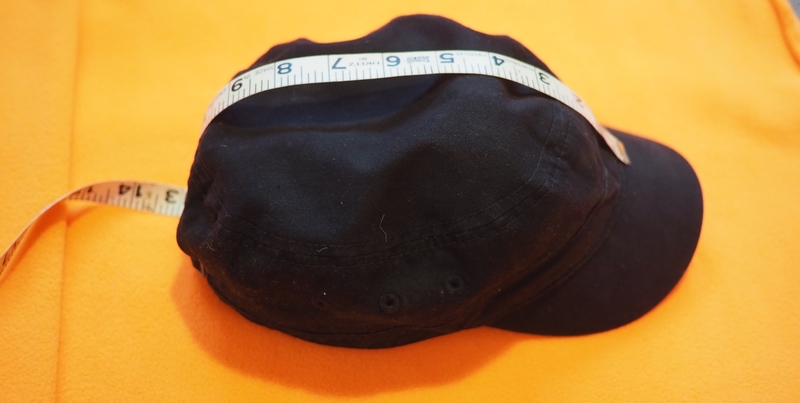 I’m using a hat to guess the measurements from. A pen or something to mark the fabric with is handy. 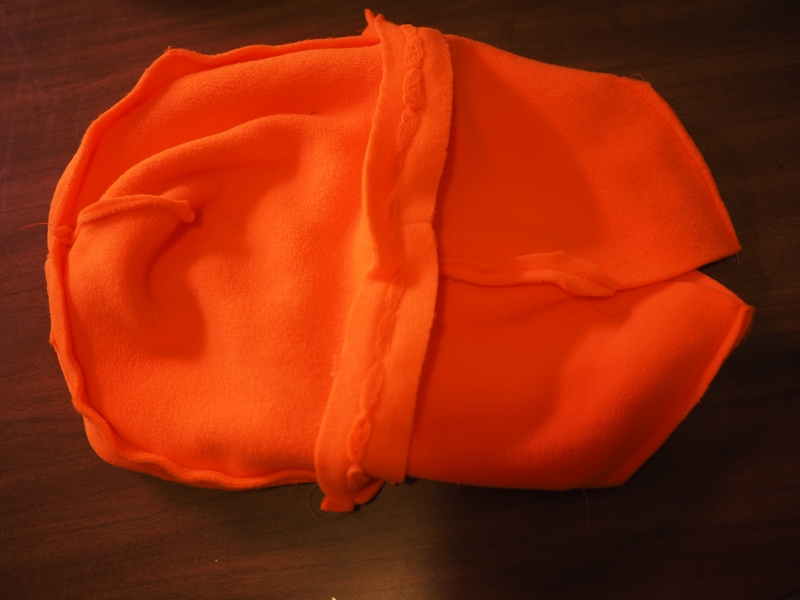 If you’re using polar fleece, you don’t have to pre-wash it. 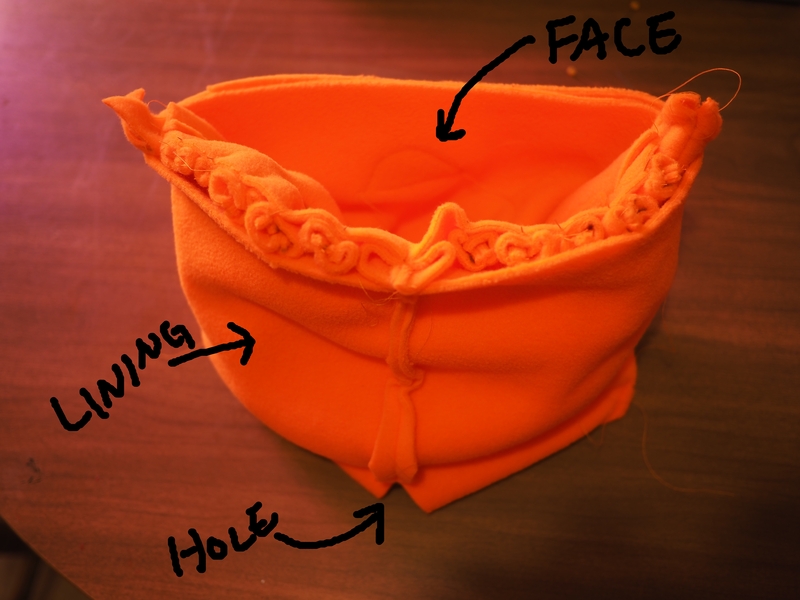 Fold it in half. 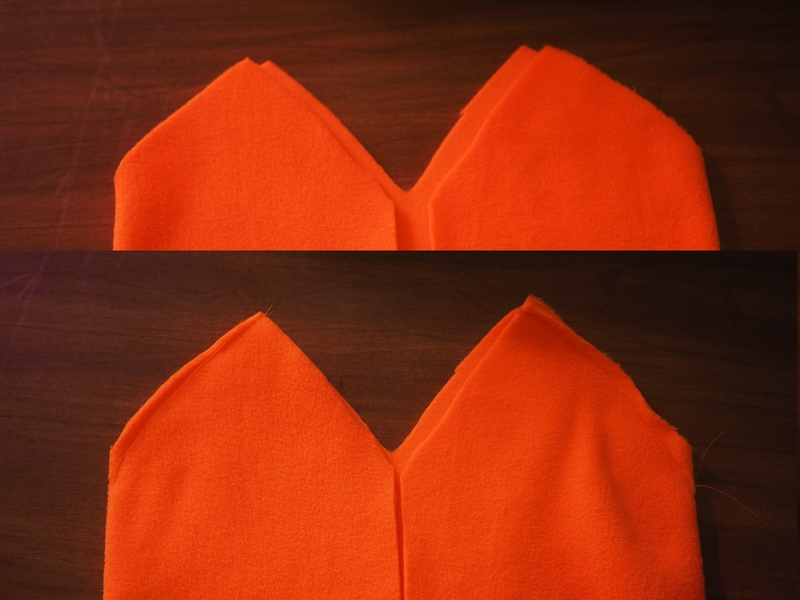 In these pictures, I have the fold on the left and the selvedges on the right. 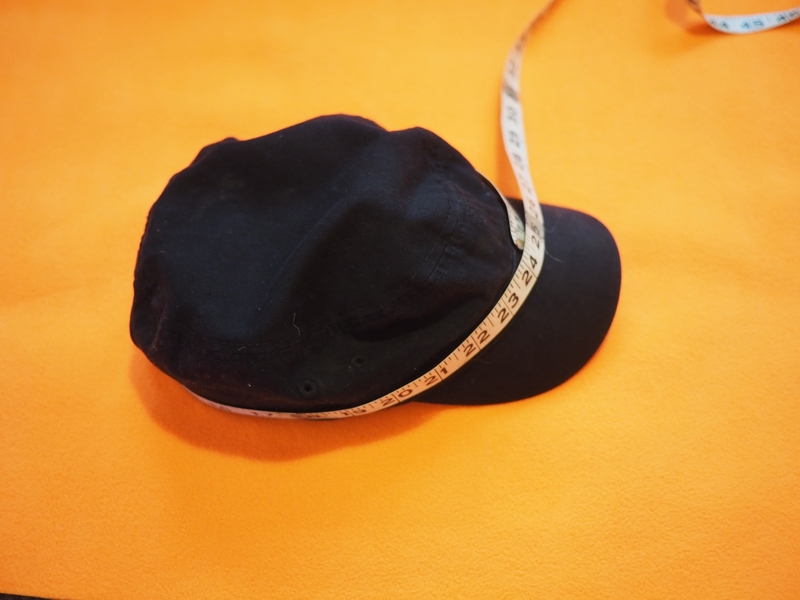 Next, measure the circumference you want the hat to be. I’ve measured on a hat to show you. Find 1/4 of that circumference. 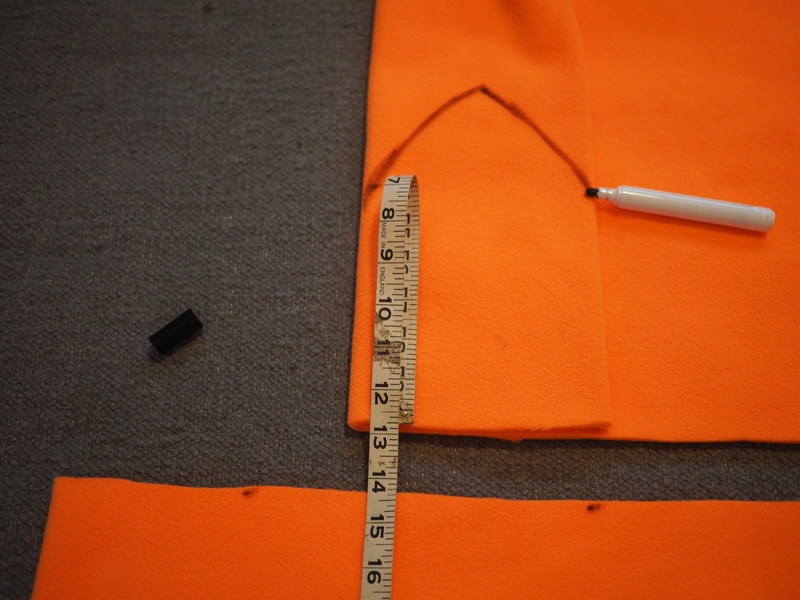 If you measured with a string, you can just fold it, like I folded the tape measure. Or you could use maths. 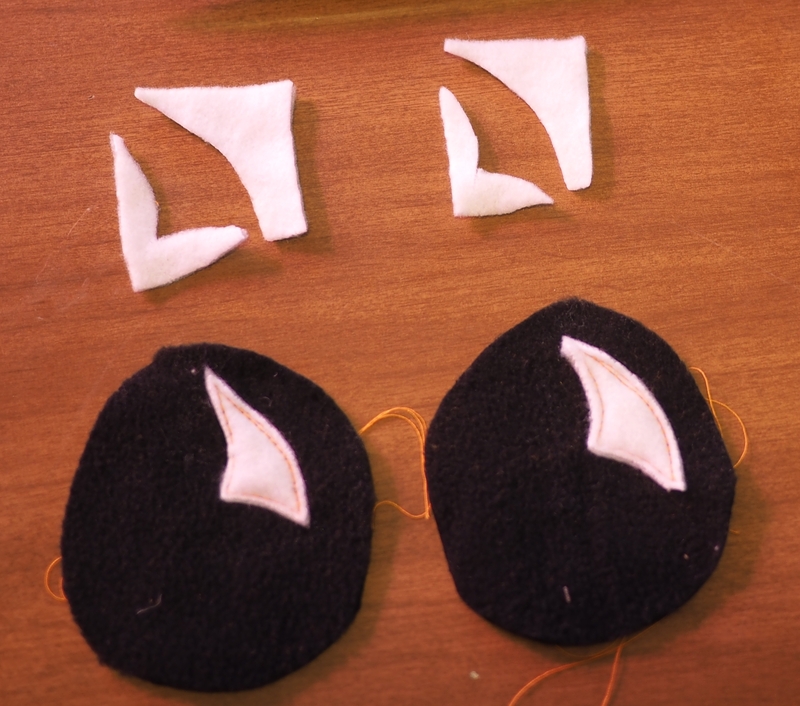 Now grab that black and white scrap fabric and cut a couple eye sized black circles, and a couple bits of white for the light glints on the eyes. 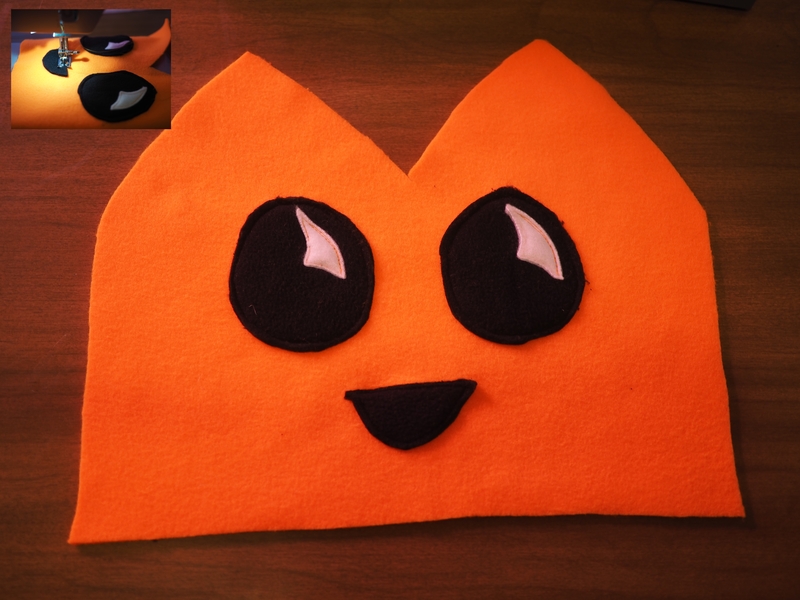 Also cut a black D shape to be the mouth if you want your hat to have a happy little mouth as well as just eyes. Those little legs should have taken up maybe 1/3 of big rectangular strip. With the rest of it, let’s make some spines to go across Ferris’s back. 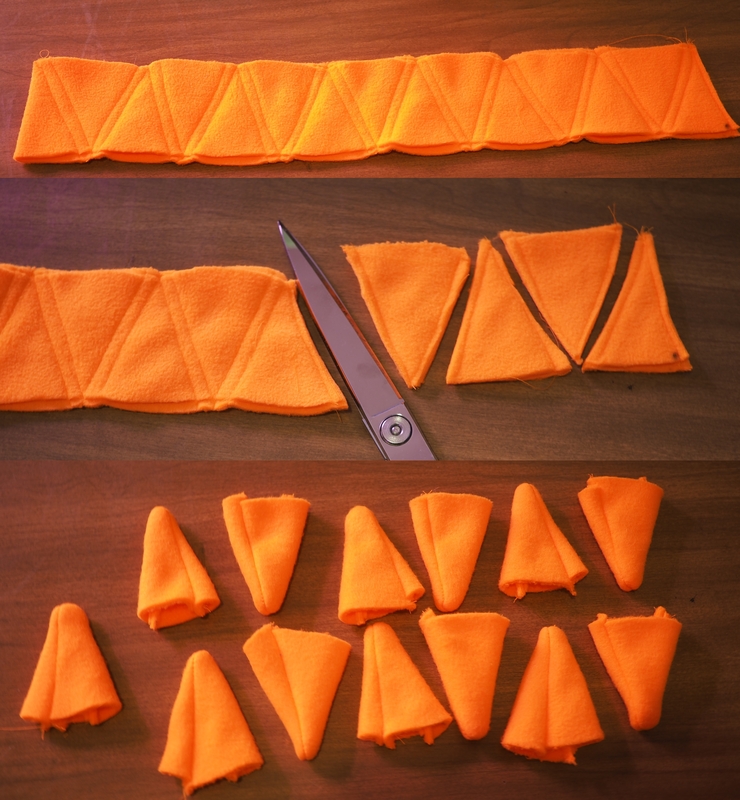 They’re little triangles, wider than the legs, sewn up the same way. 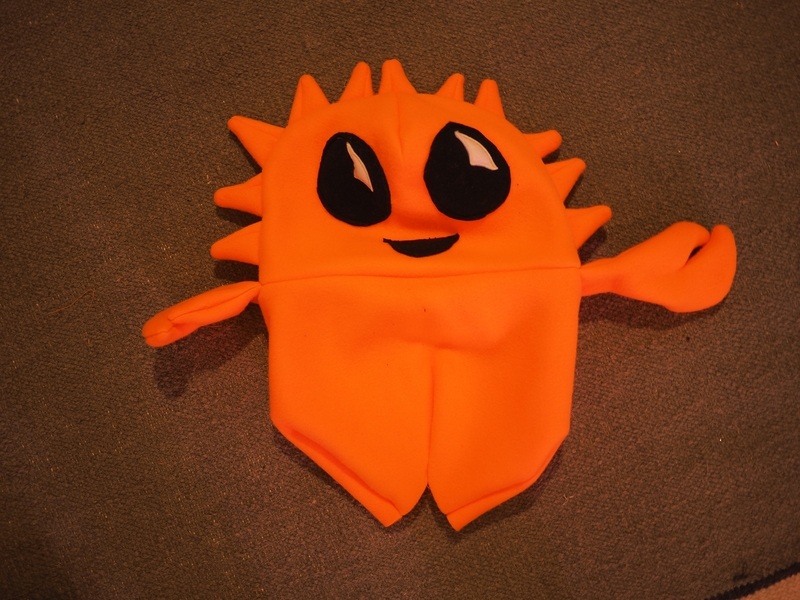 Now put those spines onto one of the outside hat pieces. Leave some room at the bottom, because that’s where we’ll attach the claws that we’ll make later. 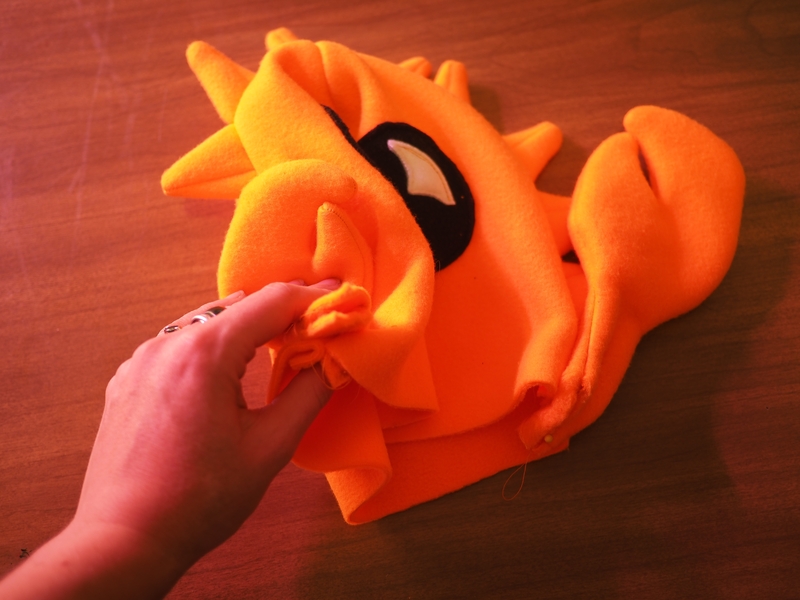 The spines will stick toward the face when you pin them out, so when the whole thing turns right-side-out after sewing they’ll stick out. Put the back of the outside onto this spine sandwich you’re building. 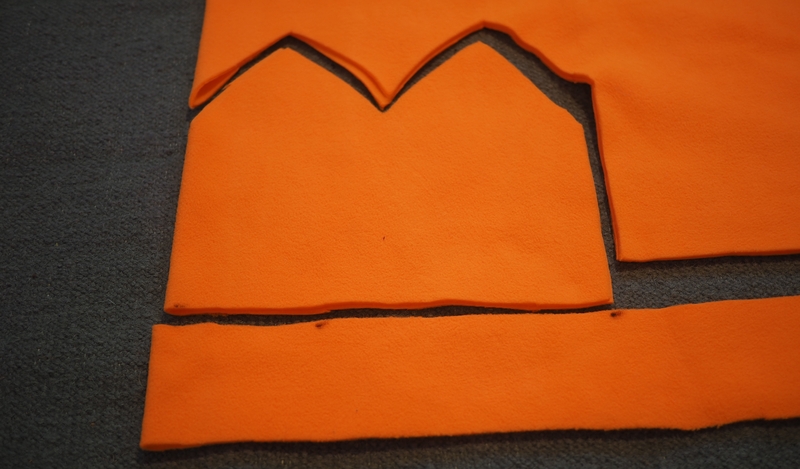 Make sure the seam that sticks out is on the outside, because the outsides of this sandwich will end up inside the hat. 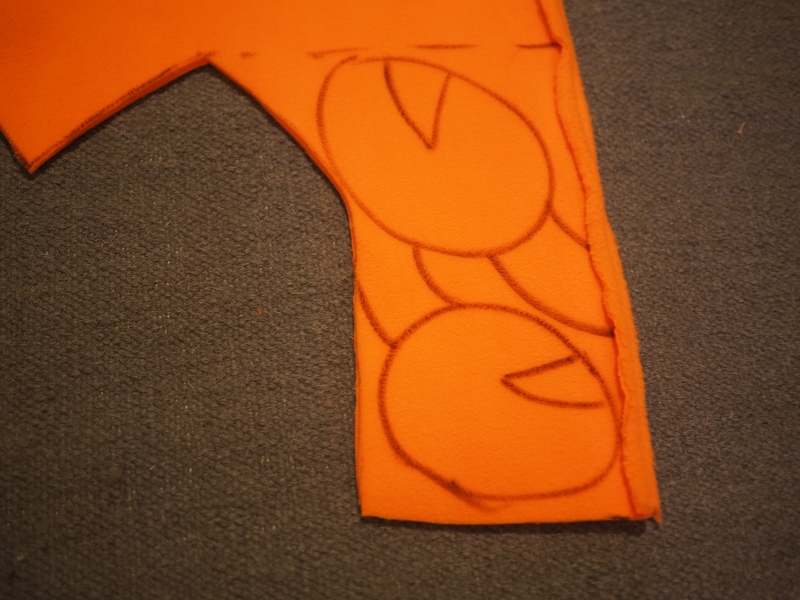 Note how the bottoms of the spines make the seam very bulky. 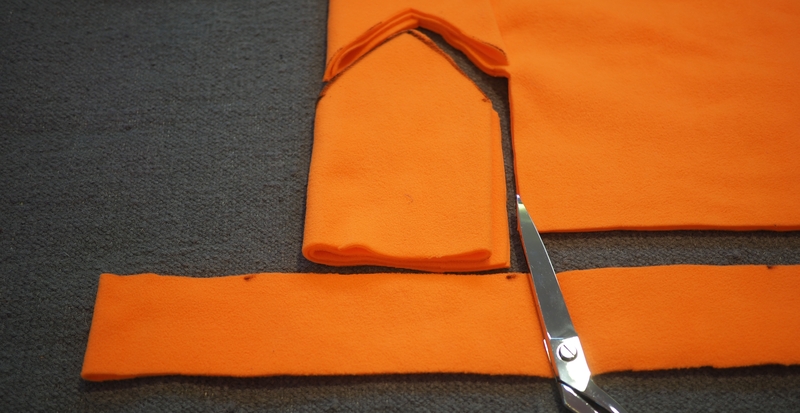 Trim them closer to the seam, if you’re using a fabric which doesn’t fray, such as polar fleece. 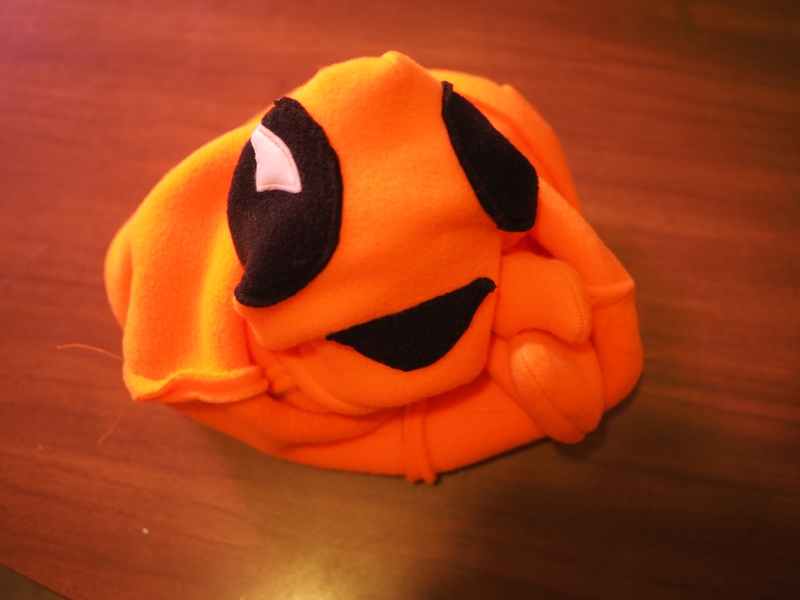 The outer layer of the hat is complete! At this point, we remember that Ferris has some claws that we haven’t accounted for yet. 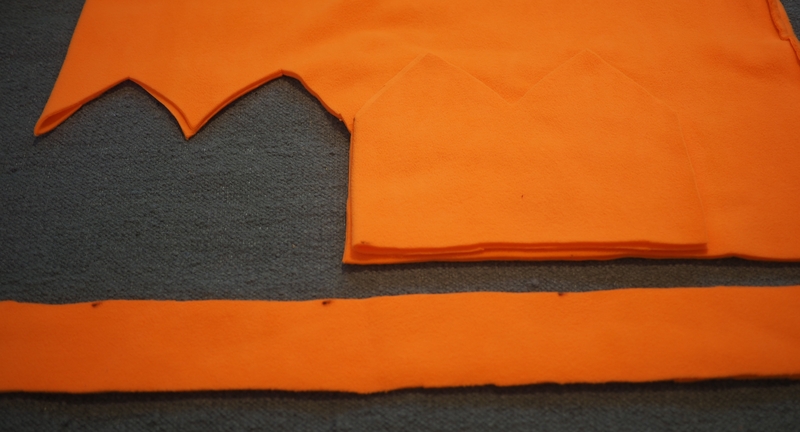 That’s ok because there was some extra fabric left over when we cut out the lining and outer for the hat. 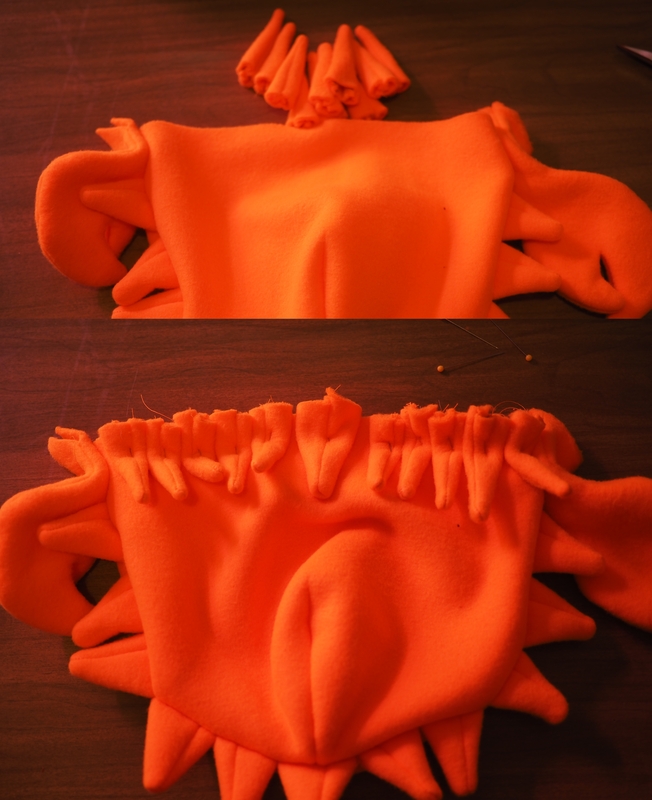 On that extra fabric, draw two claws. 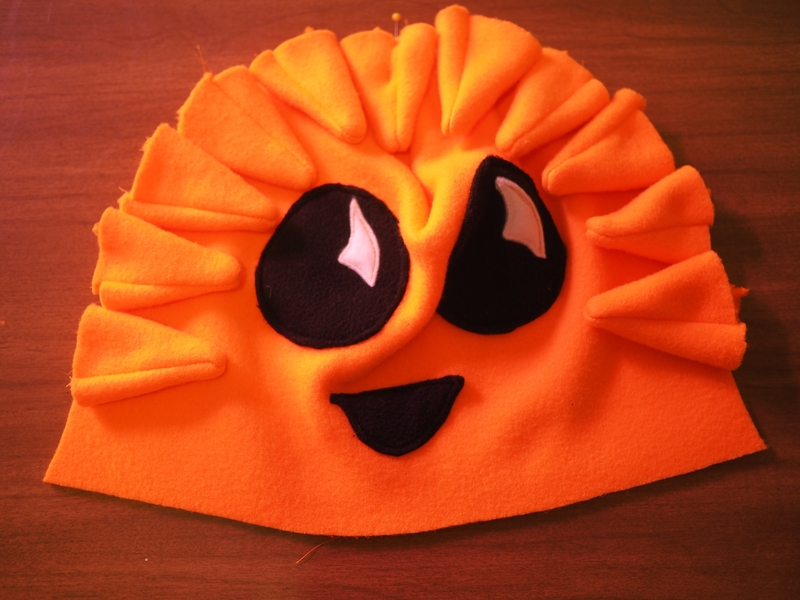 A claw is just an oval with a pie slice misisng, plus a little stem for the arm. 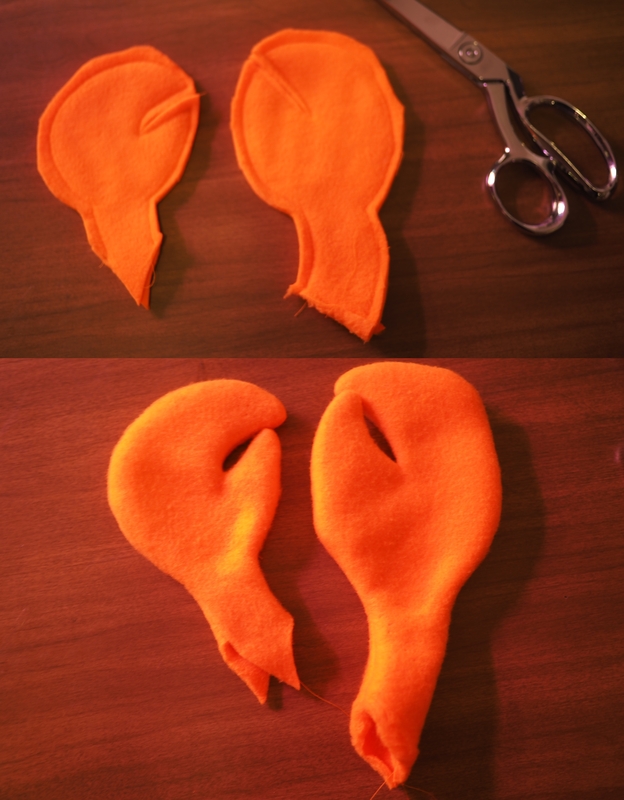 Make sure the arms are wide enough to turn the claw inside out through later. 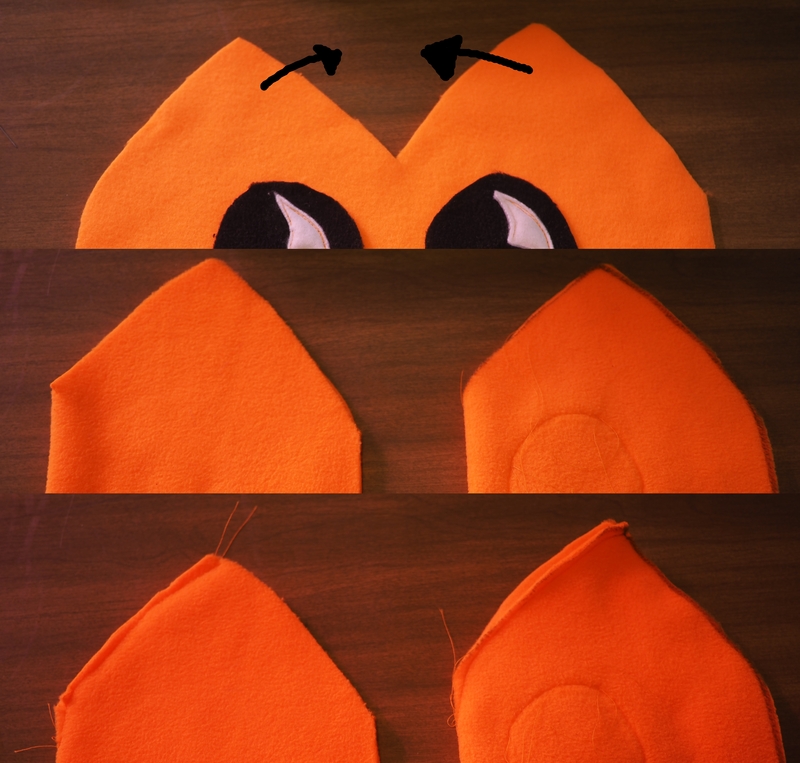 It’s ok to draw them straight onto the fabric with a pen, since the pen marks will end up inside the claw later. 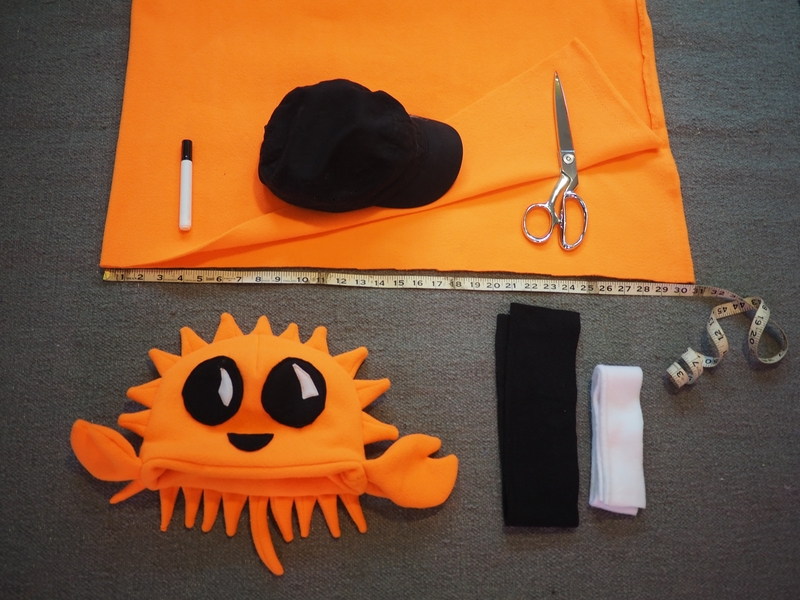 Remember those 10 little legs we sewed earlier? Well, we need those now. 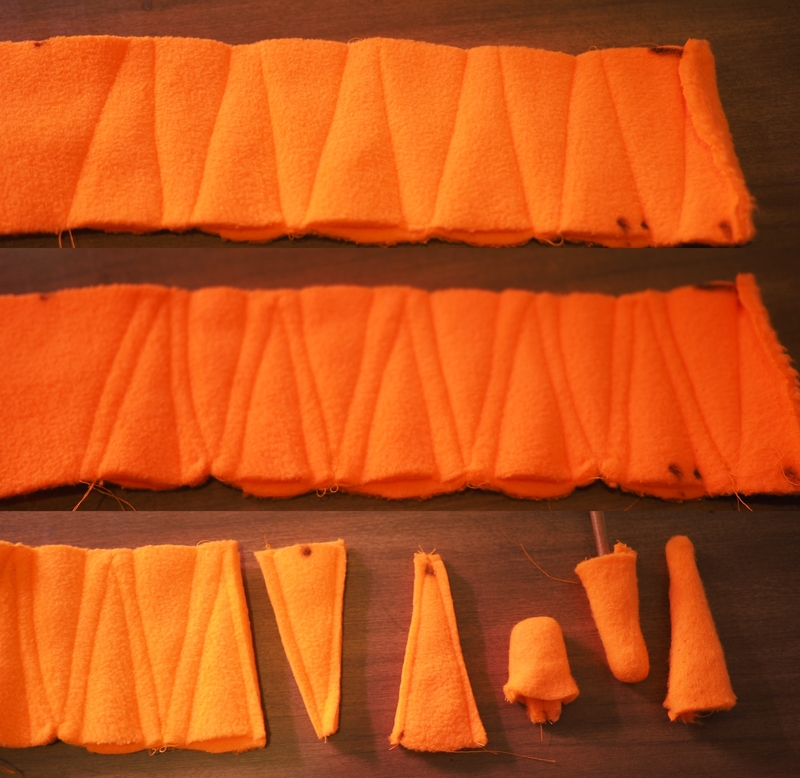 And I used an extra spine from when we sewed the spines along Ferris’s back, in the center back, as a tail. 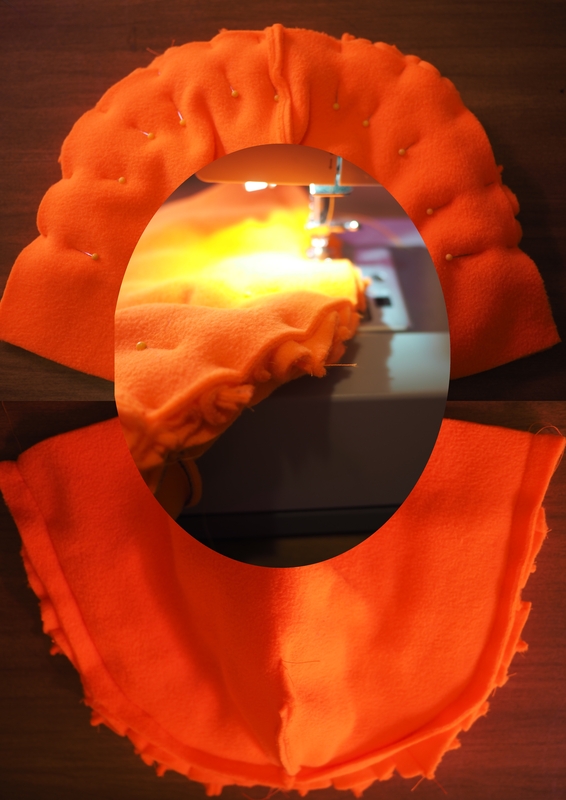 Pin them on, 5 on each side, like little legs. 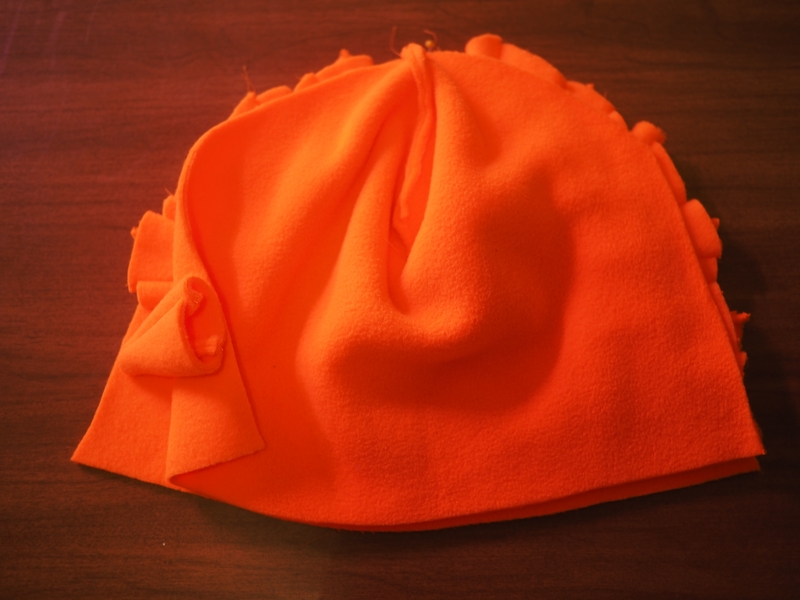 Now we’re going to put the whole hat outer inside of the lining, creating Ferris The Bowl. 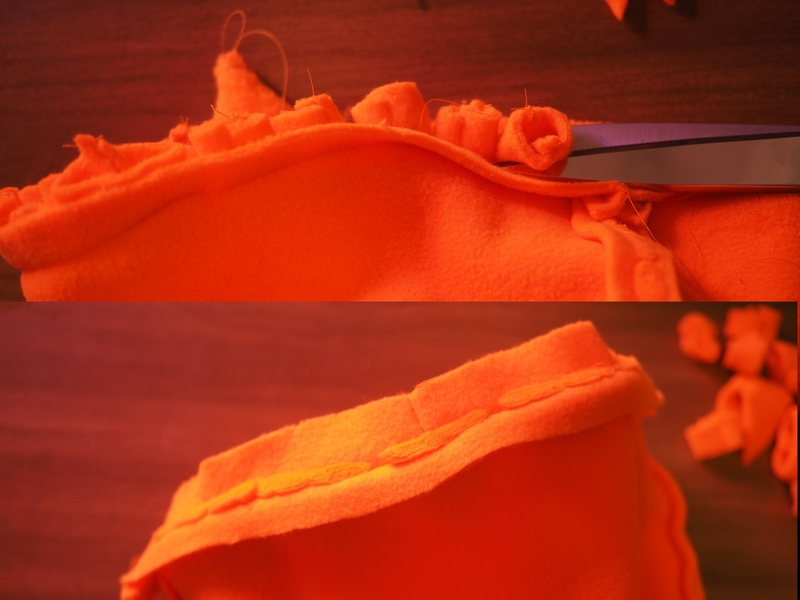 All the pretty sides of things are INSIDE the sandwich, so all the seam allowances are visible. 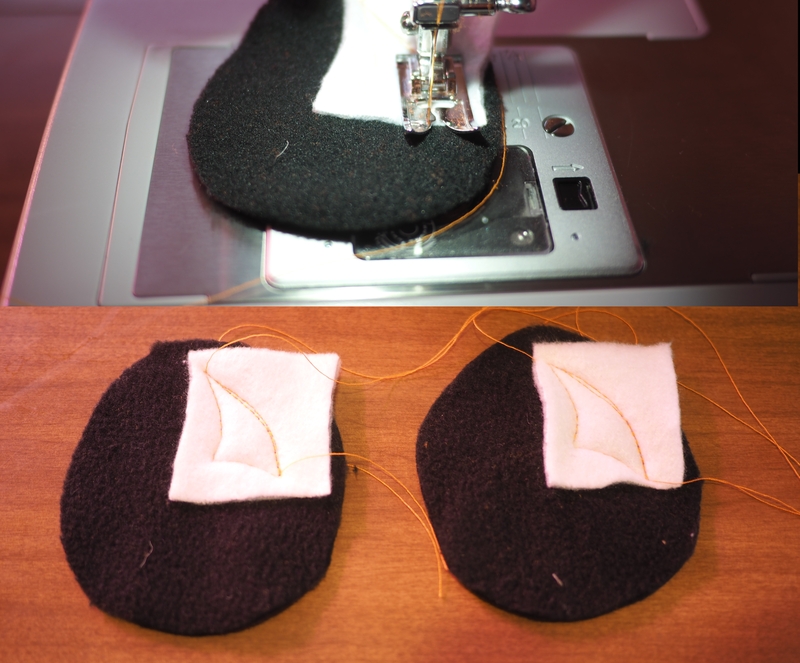 Rearrange your pins to allow sewing, then sew around the entire rim of Ferris The Bowl. 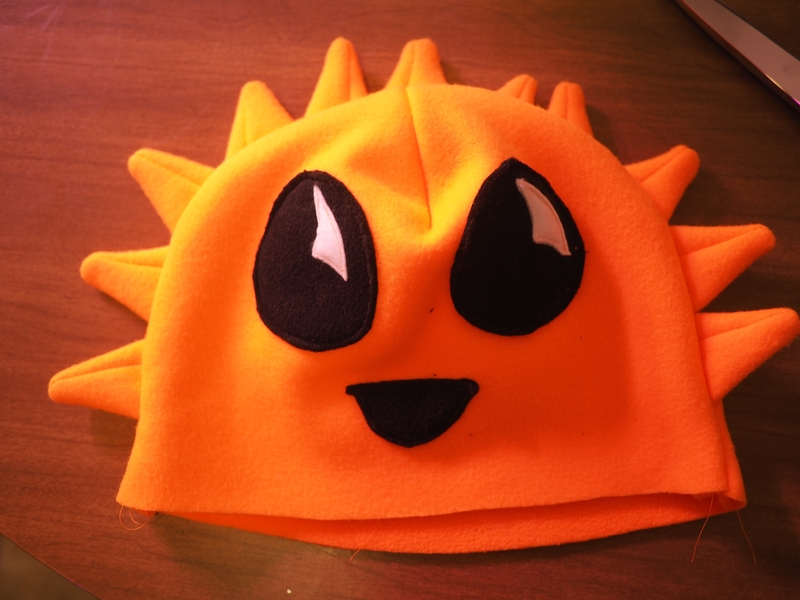 Stuff that lining into the hat, to make the whole thing hat-shaped, and you’re done!